ARISE is a Christian ministry focused on training and equipping men and women for carrying out the Gospel Commission. They had a large and growing catalog of media that they wanted to offer on the web, both via direct stream and multiple download formats, along with a large inventory of media products that they wanted to make available for purchase. We built the site on WordPress, including a dynamic filtering interface for the resource center, powered by jQuery. We then integrated the resource center with Shopify, building an onsite cart that allows customers to manage their cart in place before placing the purchase via Shopify's secure checkout. Generation of Youth for Christ (GYC) is an annual Christian conference for young people. The conference hosts a wide variety of seminars by led by leaders and lay-people within the Seventh-day Adventist Church. 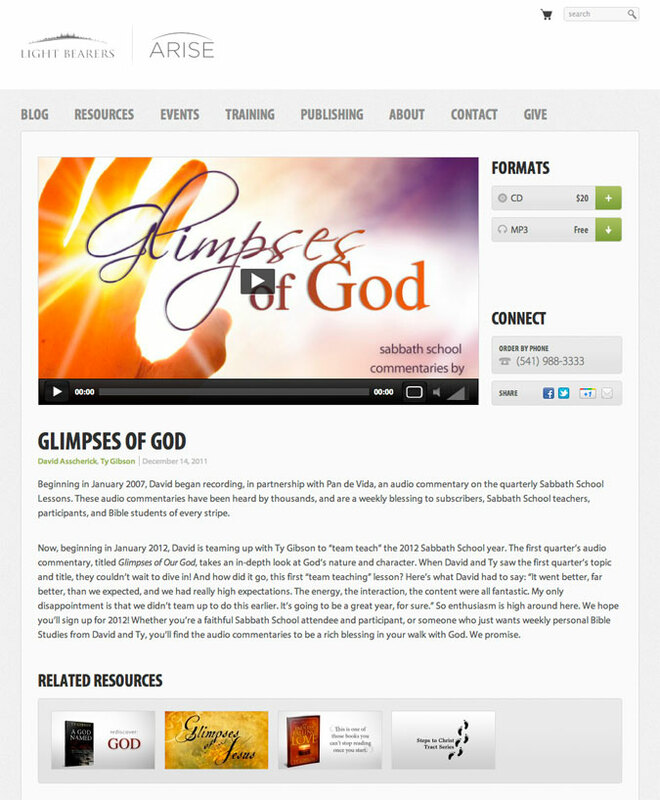 The GYC staff wanted a way to share the audio and video recordings of these seminars on their website. 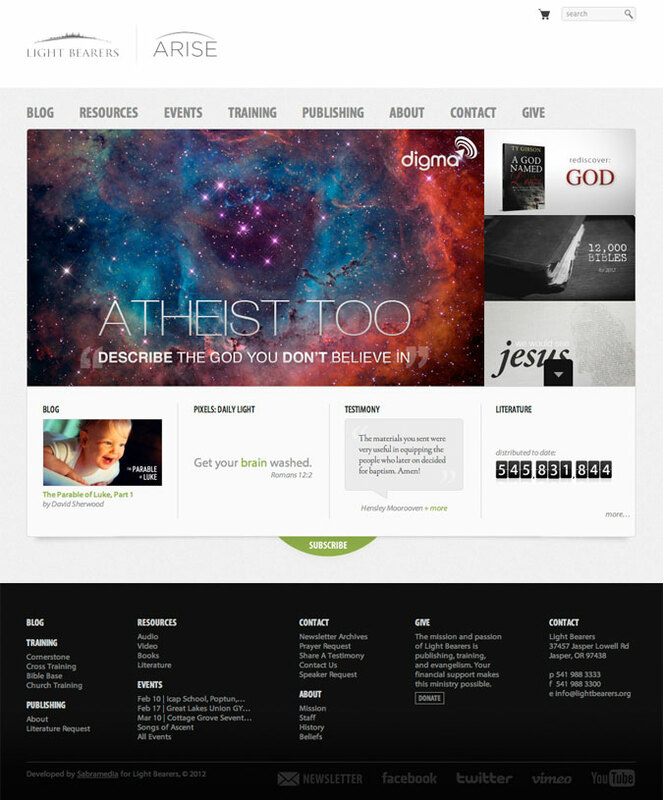 We worked with the GYC design team to code and develop a new site that could accommodate these media resources. 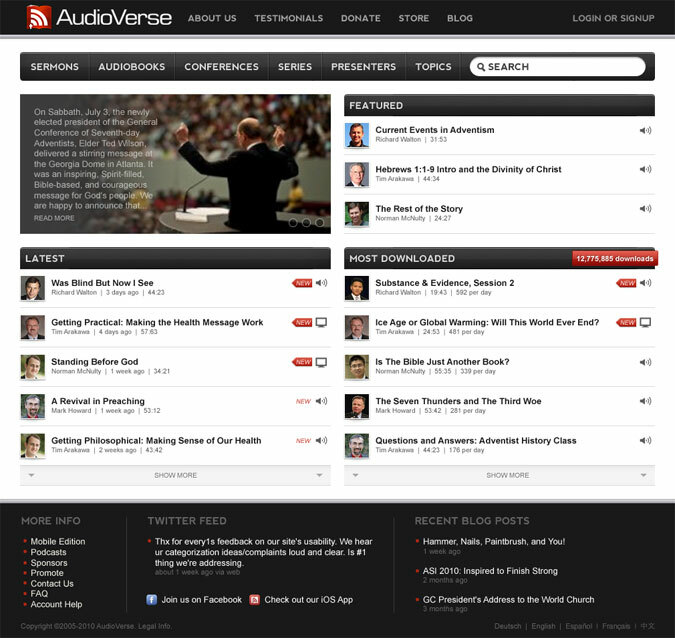 AudioVerse is a popular ministry website that hosts a massive online collection of religious sermons. 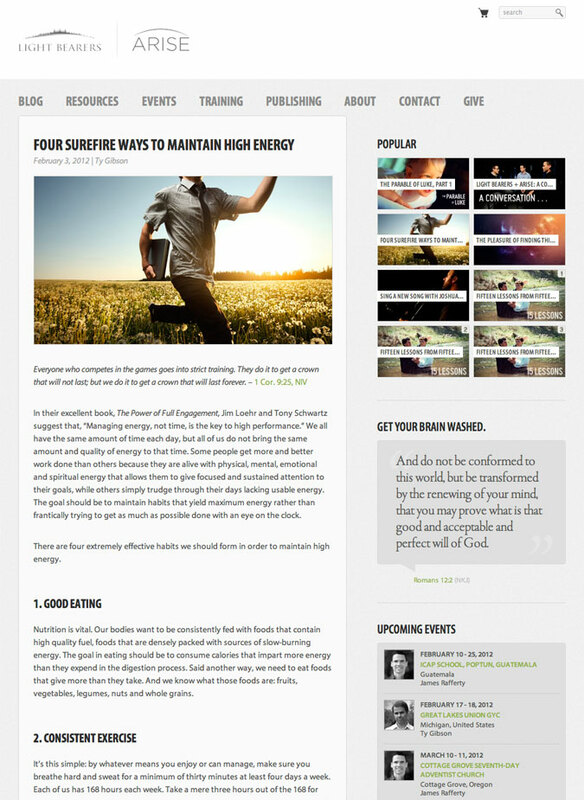 We worked with the AudioVerse team to create a new design direction for the site. The Herald is a daily, community newspaper with more than 12,000 subscribers. We built a complete paywall, CMS, and accounting system (take a look at Newsroom) that allows the newspaper staff to both publish their paper online and easily manage online payments.